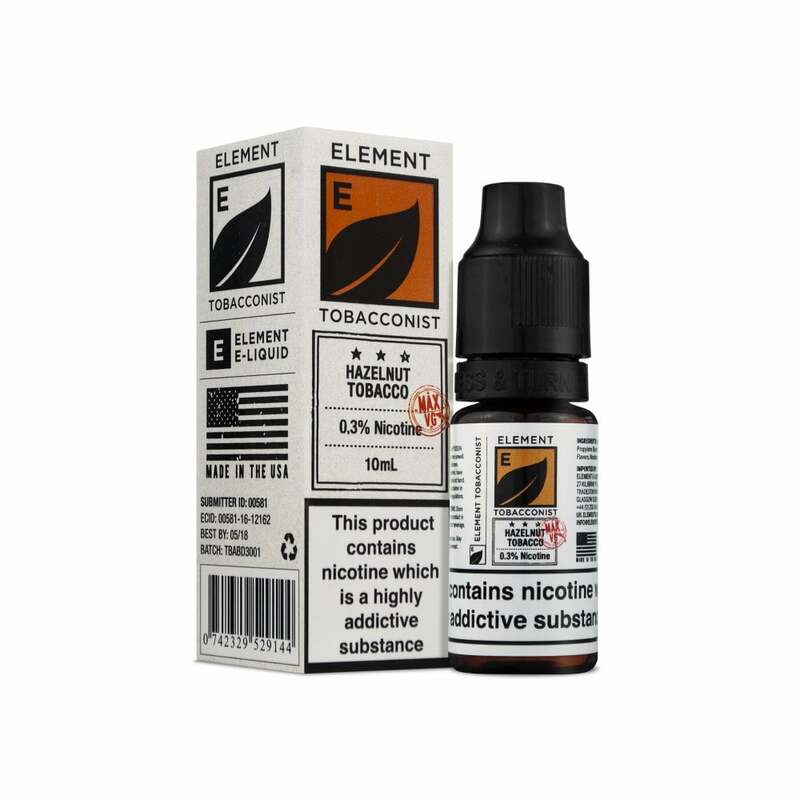 A decadent treat for sub ohm vapers, this Hazelnut Tobacco E-Liquid by Element Tobacconist gives you something a little different to your average tobacco e-liquid. Rich hazelnut undertones add a welcome sweetness to the deep, earthy tobacco flavour. The high VG formula of this e-liquid ensures a smooth and long-lasting vape. Good Nicotine-free liquid. a touch too sweet for my taste but it is something different that might appeal to many people. Ordered Friday afternoon, came Saturday Morning! Awesome service! !